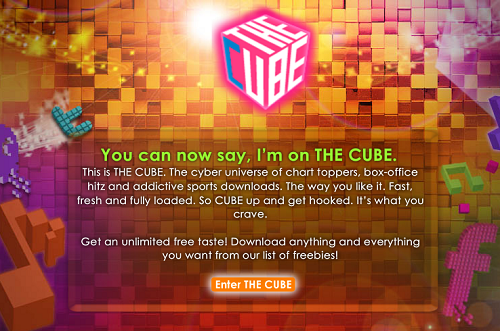 So now you know what TheCube is! A whole new library of music, movie extras and sports tie-ins! are just a preview of some of the great stuff we have for you. The Cube is everything you've ever wanted for your mobile. Offered to you fresh, fast and fully loaded! of Call Me Tones for you to experience, FREE!